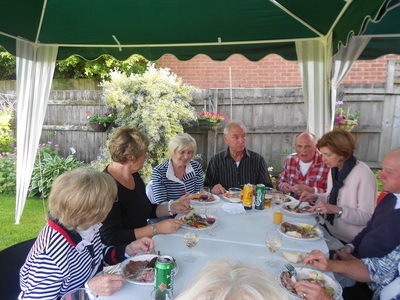 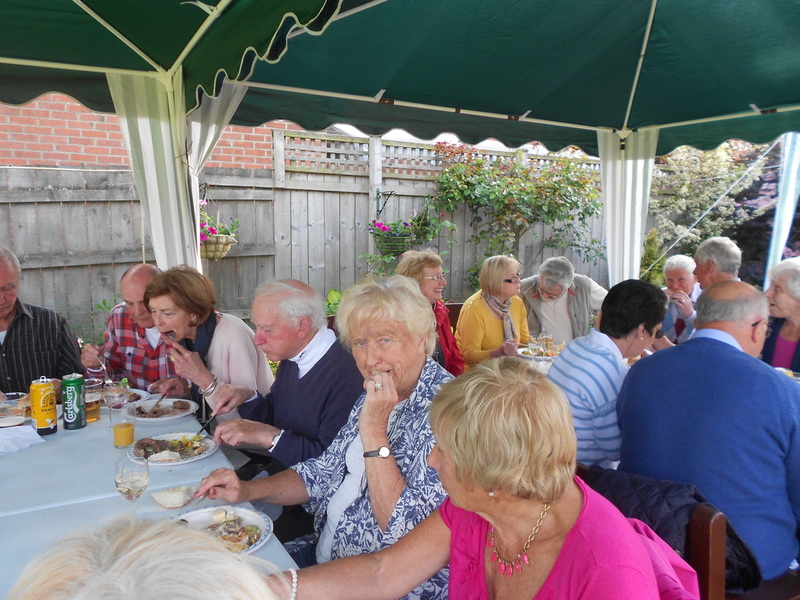 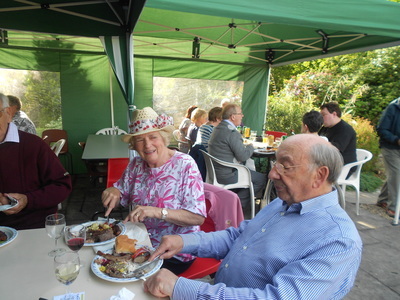 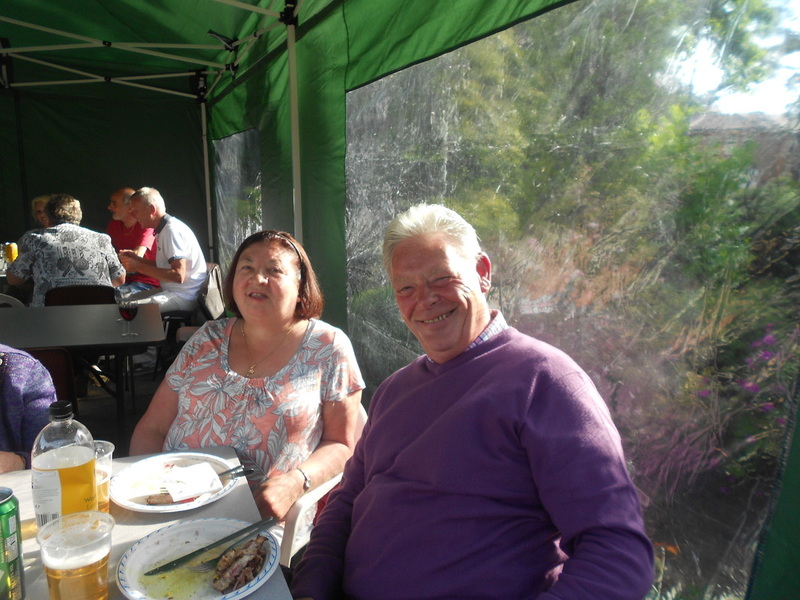 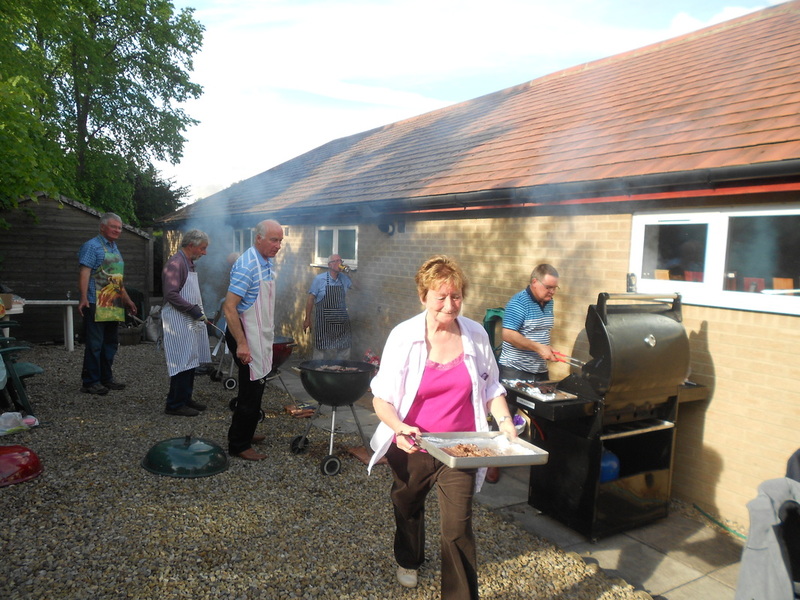 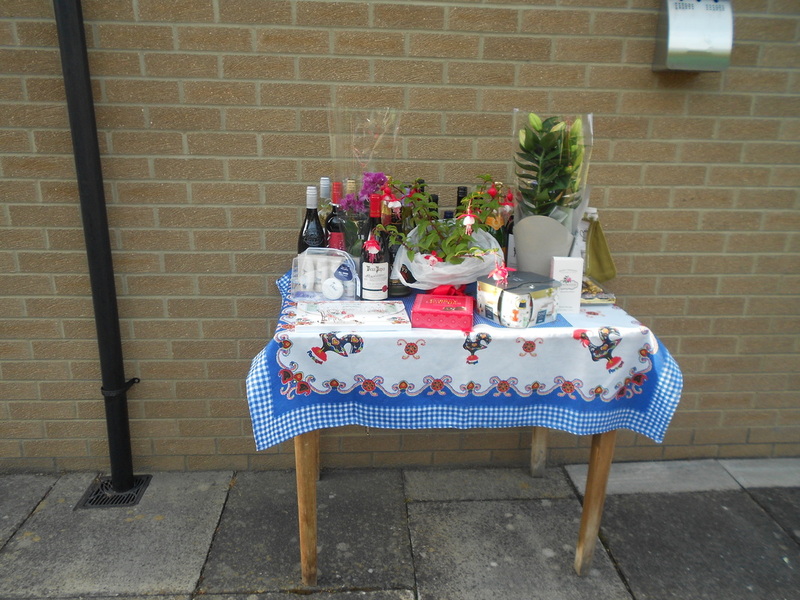 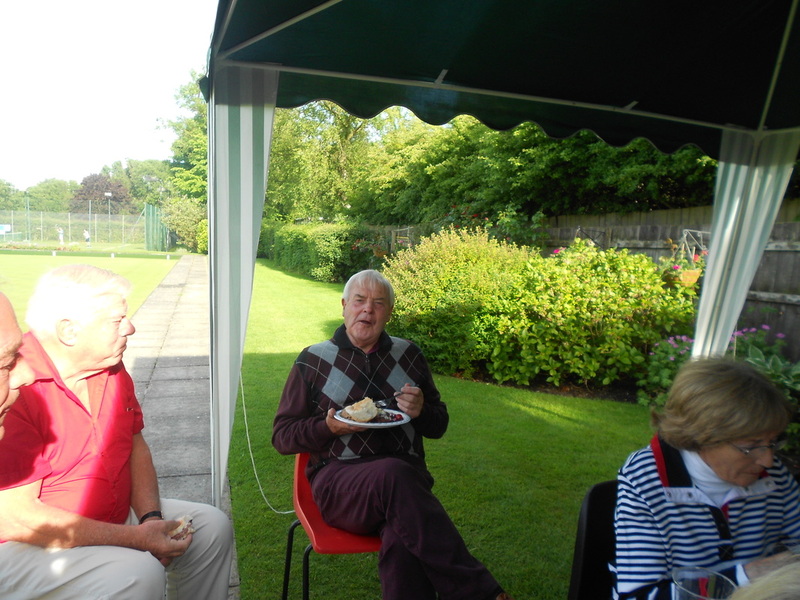 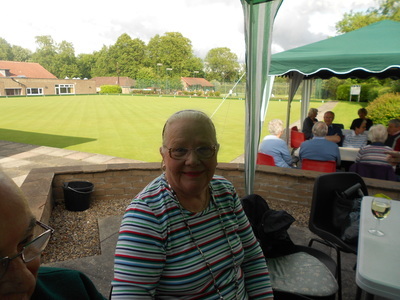 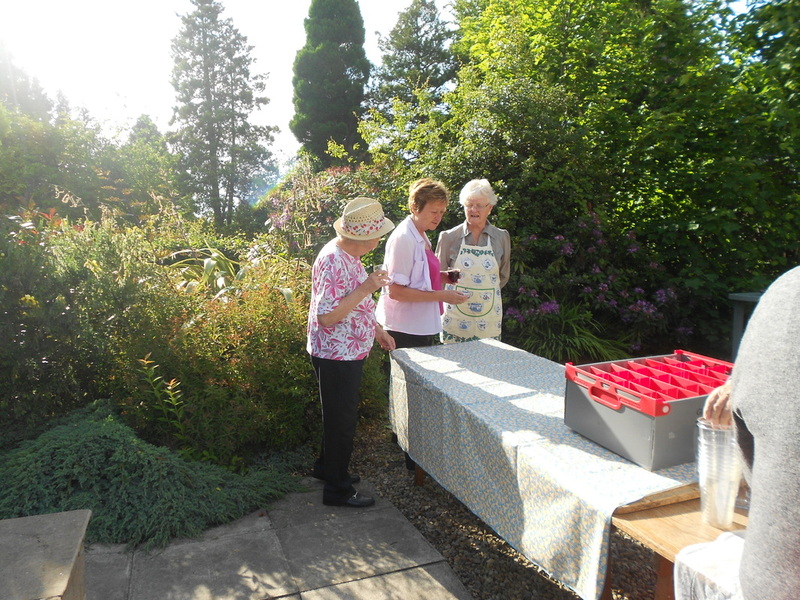 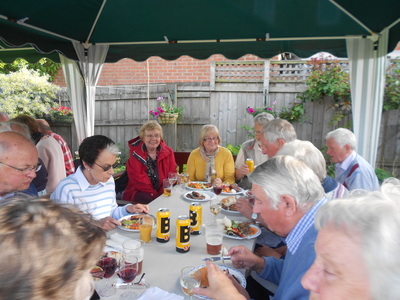 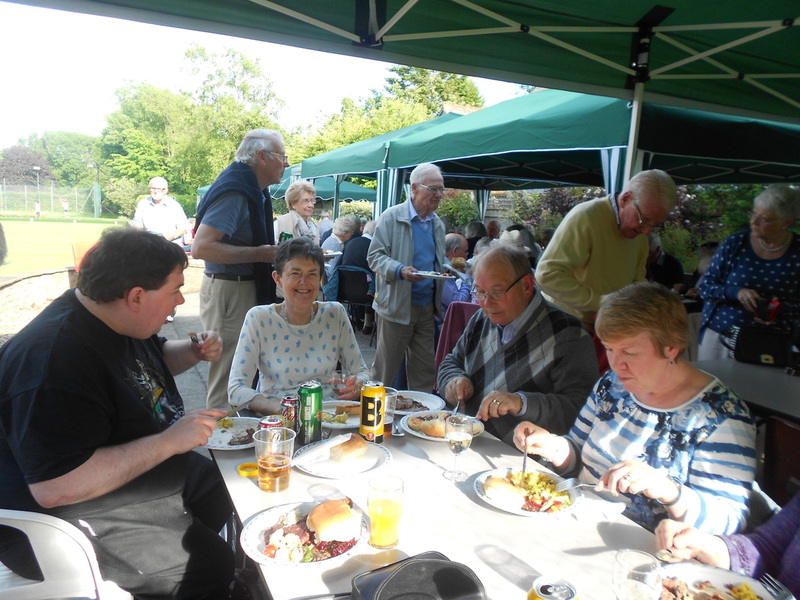 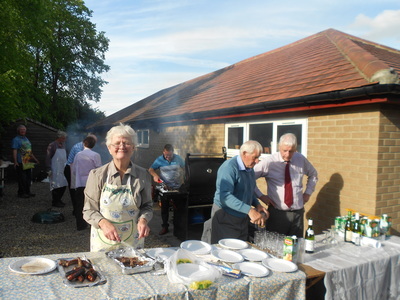 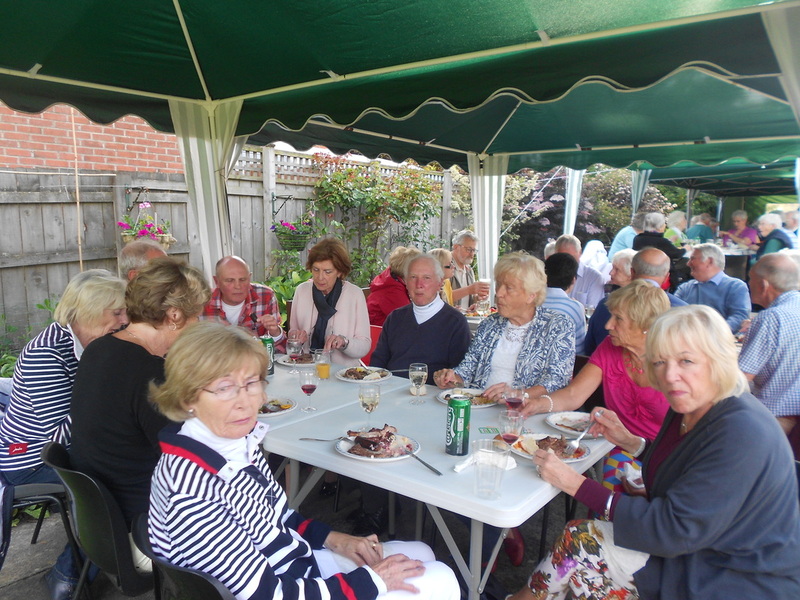 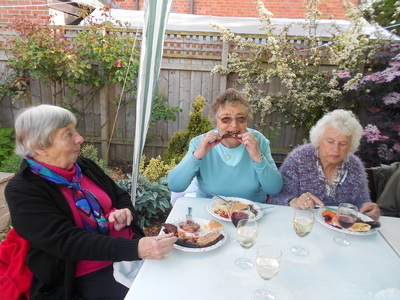 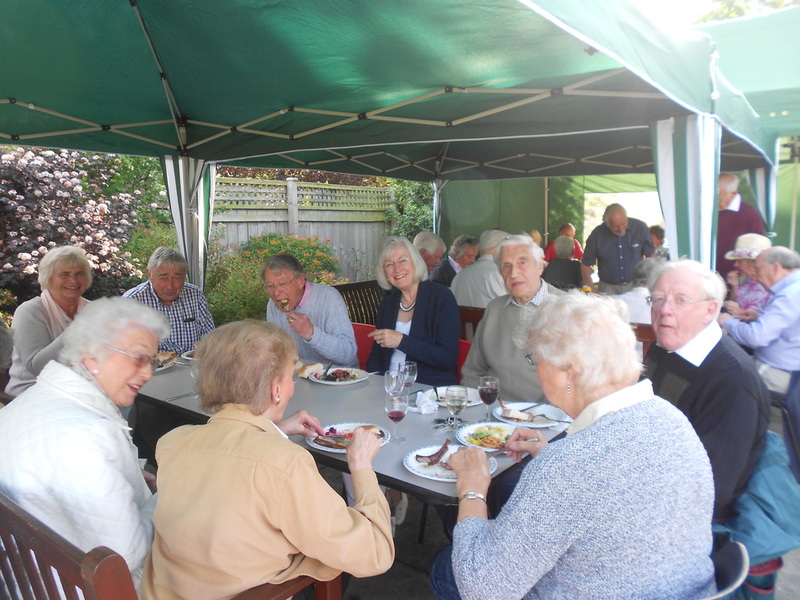 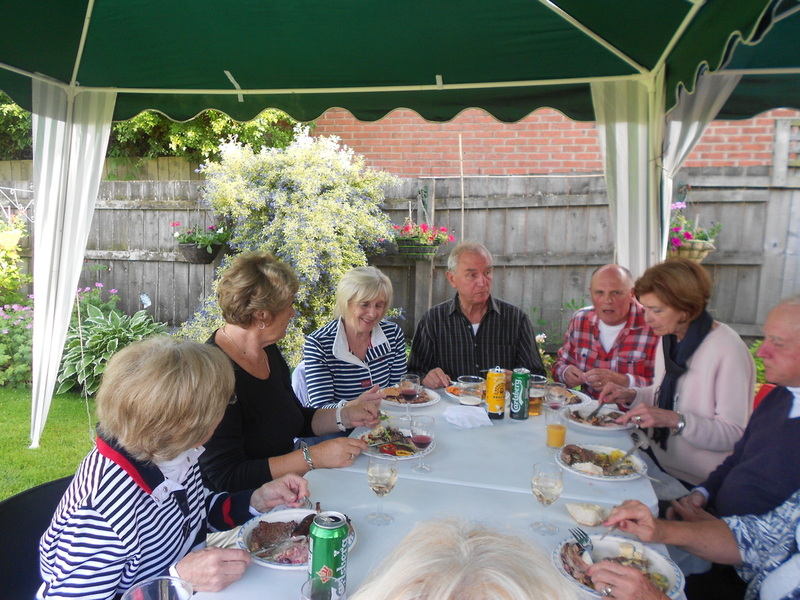 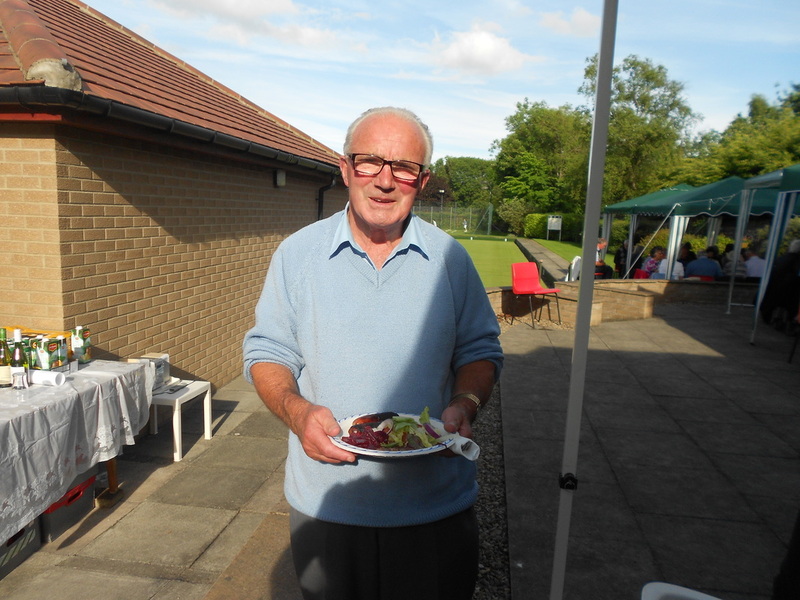 Weather was very kind on the evening of the 2015 barbeque. 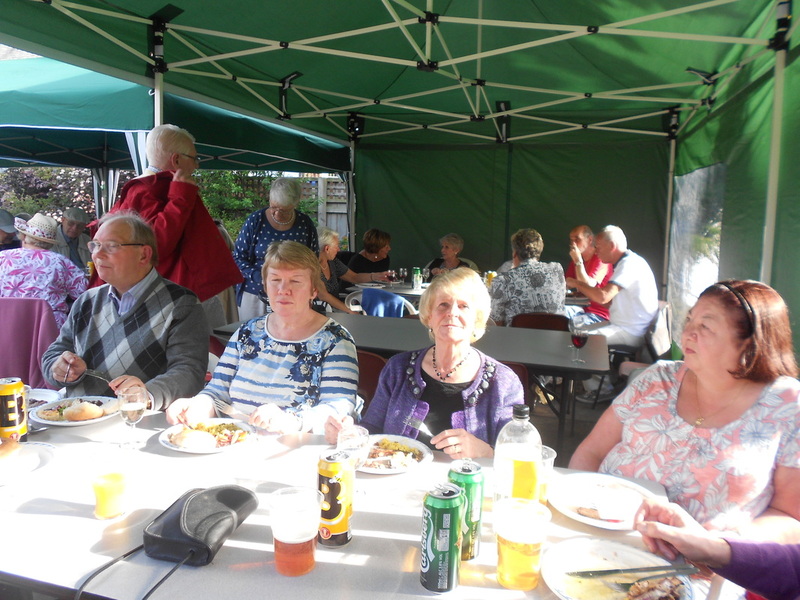 Below are a select few of the photographs showing a good evening enjoyed by all. Joan eagerly awaiting her drink! 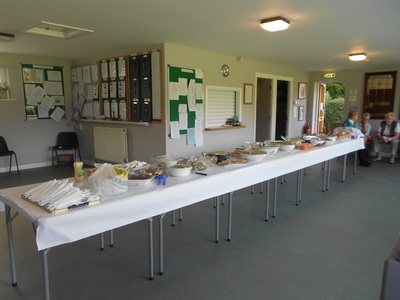 What has Mike done to be set aside like this? There will be no meat left on this bone for the dog!